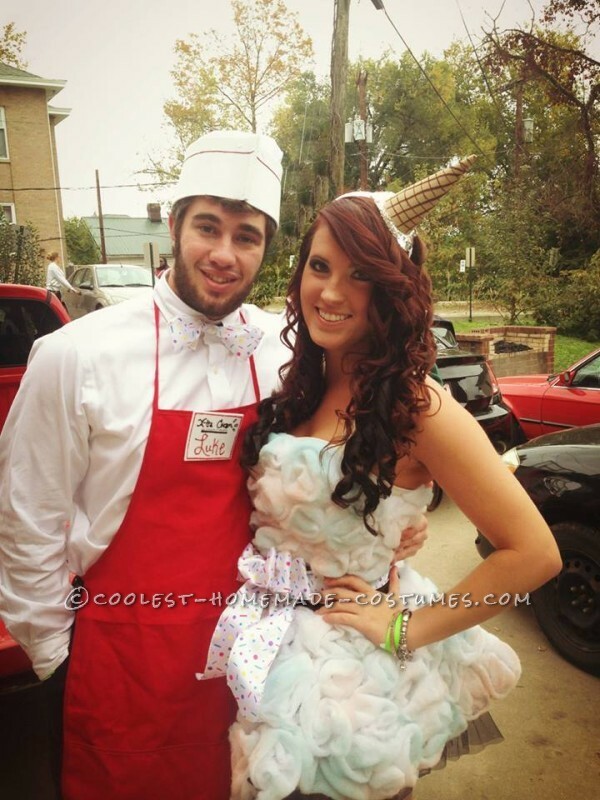 My boyfriend (Luke) and I (Danielle) attend Ohio University in Athens Oh, and Halloween is always a huge deal! So if you want to stand out you HAVE to be creative! 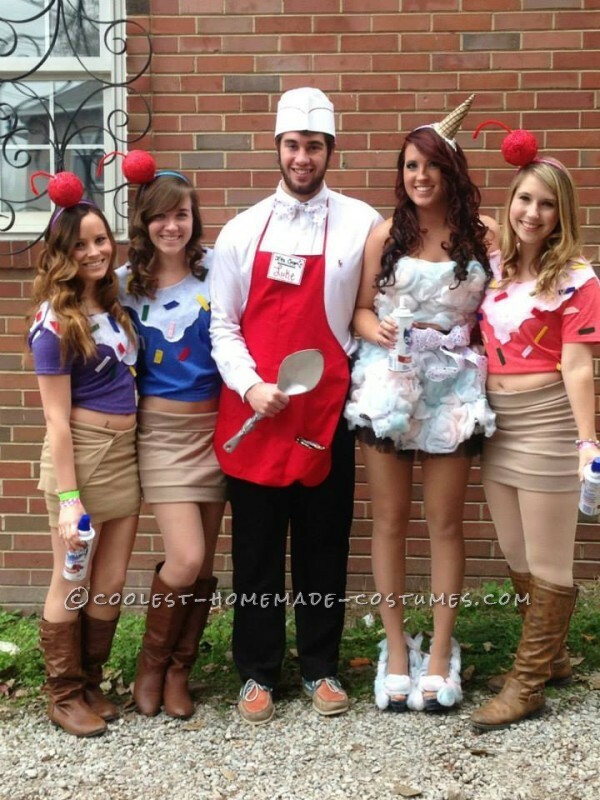 All summer we contimplated all kinds of costume ideas. When I got back to school a group of my friends also wanted me to dress up with them, so I had to think of a costume that would be great as a couple costume AND flow with my friends costumes! I went home the weekend before Halloween and got to work! – It took my 5 hours to make my skirt and top, I hot glued swirls of polyester fiber fill onto a skirt, tank top, and shoes that I already had in my closet a I had the biggest blisters on my fingers by the time I was done! Step 4: Spray paint on spray paint on spray paint!! 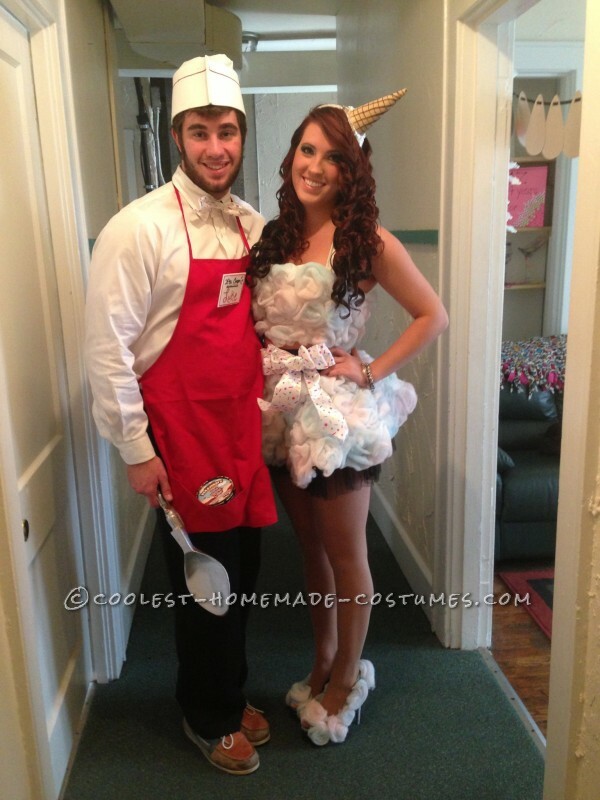 – now that I had my icecream dress & shoes I needed to spray paint it pink and blue so it would be a cotton candy flavor and Lukes wooden spoon needed to be spray painted silver. 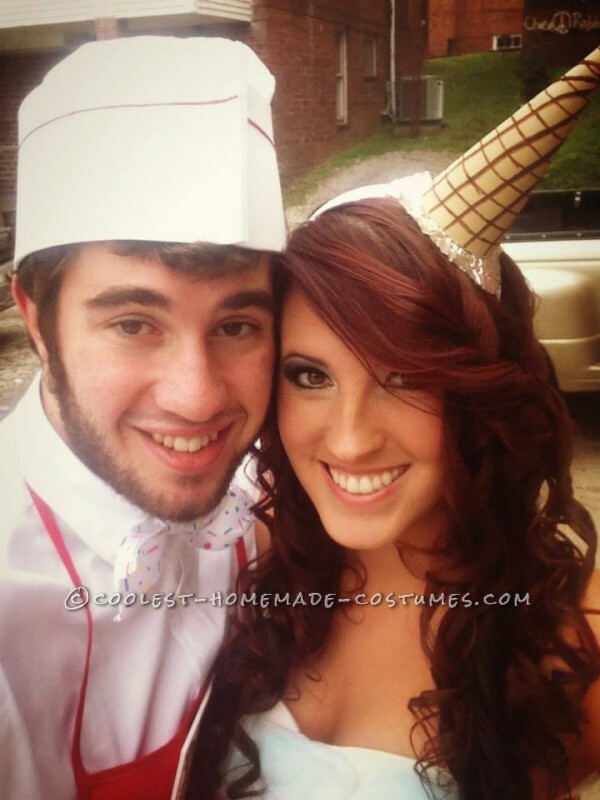 – To complete Lukes outfit I made him a 1950\’s soda jerk hat out of foam sheet, tissue paper, and red puffy paint. I made my self an Ice cream cone headband with a tan foam sheet, brown sharpie, and a cupcake liner. Finally I made lukes bow tie and my belt with a bow out of the sprinkle ribbon. 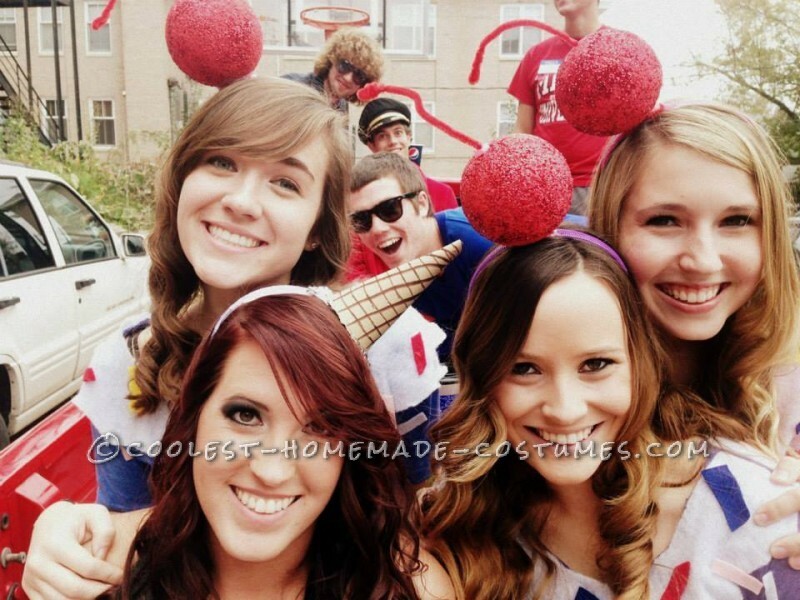 Step 6: Convince my friends that also wanted to dress up with me to dress up as Ice cream sundaes!! Everyone LOVED! our costumes, we recieved sooooo many compliments while walking down Court St. (Main street in Athens) The best part for me was that all of my hard work paid off and that so many people loved our theme! The funiest part was a mix between my fluffly shoes and the cans of whipped cream that we sprayed on everyone.